Murray & Roberts Power & Energy is the engineering, procurement and construction ("EPC") projects implementer of the Murray & Roberts Group, adding unique value to the constructability, integration and ultimate performance of the projects it undertakes. It is at the forefront of the changing needs of the industrial market with a focus on power, oil & gas, minerals beneficiation and the water markets of SADC. 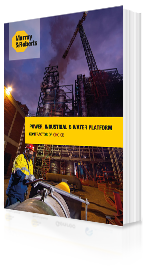 Murray & Roberts Power & Energy offers the full spectrum of multi-disciplinary EPC services including piping, tanks farms & platework, mechanical, electrical, process equipment, structural steel & instrumentation. Murray & Roberts Power & Energy offers a comprehensive engineering and design service incorporating all the major engineering disciplines. Whilst meeting plant performance standards, Murray & Roberts Power & Energy strives to embody features, which will ensure constructability, safety, ease of commissioning, efficiency of operation and maintainability.